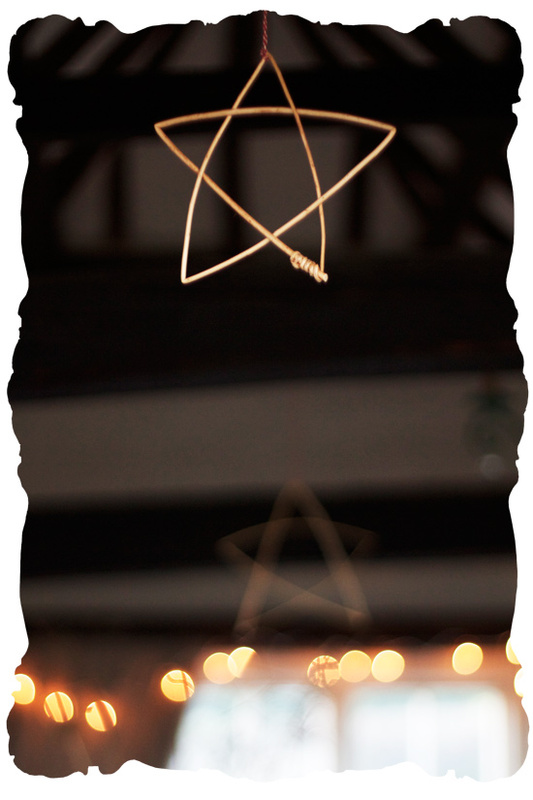 At every winter fair in the village I admire the handmade willow stars adorning the trees. They’re enchanting ornaments, I’m ever so fond of them. I was absolutely delighted to learn how to make them on a December afternoon floristry class in the village, with Blooming Green. They’re made from soaked, stripped willow, the first year’s supple growth. Coppiced. Such simplicity and charm. Take a wand of white, stripped willow, or even just a bit of weeping willow fresh off the tree, and soak in water for a couple of hours. Gently bend four kinks into it, evenly spaced. Easiest to measure the lenth of your hand between corners. Bend the willow til the first three lengths make a number four, crossing over the front. Pull the tip of the willow through the triangular opening you’ve made, until the fourth corner is making ‘cat’s ears’ beside the first corner. Shuffle it all a little. Push the last length of the willow behind the shape and then back through it again to meet the very start of the wand. Secure it either by twisting the last couple of inches in your fingers til it relaxes into string to tie with, or use a bit of rafia. Give it all a bit of soft tugging til it is properly starry. Suspend from a bit of pretty string! Many thanks to Plumpton College, Centre for Sustainable Food, Farming and Forestry, and the Weald Forest Ridge Partnership for providing the funding for the floristry course. UPDATE: – Yes! 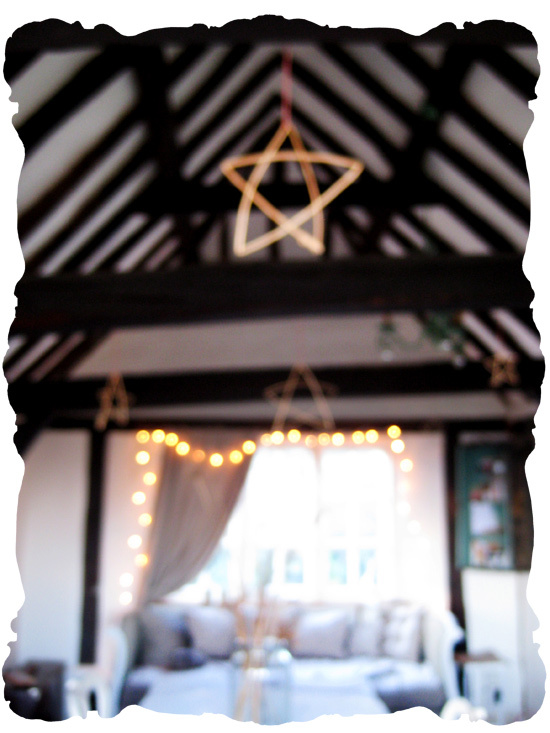 These are the willow stars we made at appleturnover’s first open studio! enjoy!